Port Washington Parks & Recreation: Rolling Hills to Nature and Fun For All! A view of Sunset Park near the water. Regardless of the time of year, Port Washington's parks and natural preserves offer local residents and visitors a beautiful scenic view of nature at its best. From state parks, beaches to town parks, visitors of Port Washington have the opportunity to enjoy everything from fishing, boating, sports, to playgrounds and picnic/barbeque areas for a fun and relaxing time with family and friends. North Hempstead Beach Park in Port Washington is also on LI.com's Best Parks for Kids list, so you know there's something for the little ones too! For those looking for a leisure outing in Port Washington's parks, there are also nature trails and wonderous landmarks to visit. One of the more notable park landmarks to visit in Port Washington is the North Hempstead Beach Park (formerly known as Bar Beach and Hempstead Harbor Parks). 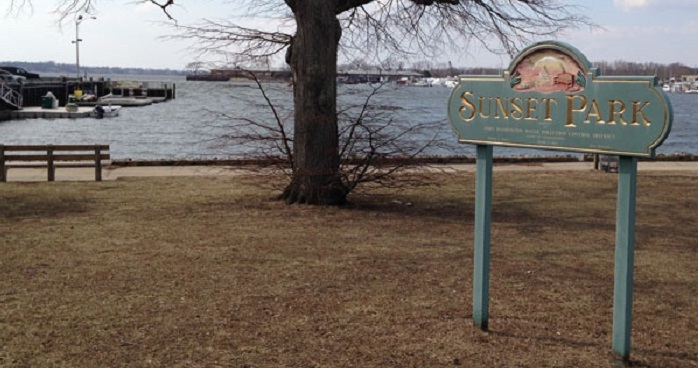 With 34 acres of beachfront land, sports courts, barbecue areas, playgrounds, picnic spots, and pavilions, North Hempstead Beach Park is fun for all ages. Being a waterfront area, Port Washington also provides beach parks enjoyable to all! This 34 acre park offers locals and visitors a fun time with its beach, basketball courts, playgrounds, picnic and barbeques areas, and much more! Enjoy free concerts at the park during the summer or simply stop by for a beautiful view of the sunset!